OPEN ENROLLMENT is complete - Coverage is effective July 1, 2018. The beginning of what would eventually become Northwest Firefighters Relief Association can be traced back to 1988 when three IAFF locals in East Washington County were working together to create one contract, as their perspective departments considered consolidation. Faced with the task of combining three different plans with three different premiums, leaders of the perspective locals were seeking a creative way to meet the insurance needs of the membership. With three different employers, and three different health plans, the group was trying to fold themselves into one multi-employer agreement that would treat them all equally. The employers position was one of “we will decide on premiums, plan design, and rates”. The leadership from the three locals knew they could do better, and had heard of other departments in Oregon where firefighters had gone out and found better health plans than management was offering, ultimately silencing managements demands. Fortunately, one of the attorneys representing the employer in negotiations had experience in the private sector with multi-employer agreements and Union controlled health trusts. So, when the leadership from the three locals proposed taking over the insurance program, he was open to the idea. The Local’s argument was that three employers would not have to figure out how to combine three plans together, and satisfy the needs of all members in those groups. Instead, that task would be left to firefighters who would have control of plan design, premiums, and benefits. Of course, this proposal was not met without some opposition. There was concern from the employer groups that a failed attempt by the firefighters to successfully manage this new concept would ultimately be blamed on management, who would be left to pick up the pieces. Fortunately, Union Leadership was able to convince management that the benefits outweighed the risk. During the 1988-89 negotiations that led to the establishment of the Health Trust, Union Leaders could not get their phone calls returned by insurance companies or brokers. Fearing the loss of a large contract, the Fire District’s insurance broker had put the word out of the firefighter’s plan, essentially blackballing the local from conversation. In Frustration, our local leadership was looking as far north as Seattle for a broker to do business with us. Through a connection with the Local’s lobbyist, Union Leadership was put into contact with a local broker by the name of Chuck Floberg. Chuck was intrigued enough by the firefighter’s plan that he was willing to take a chance on the group. Chuck provided valuable education to the group, and would go on to be the groups broker for the next 26 years. Even after promoting to president of his company, Chuck insisted on maintaining the close relationship with the Health Trust, and our account became one of only two that he personally managed himself. Over the years the trust has been able to adjust to the climate and trends in health insurance. We have weathered the double and triple digit premium increases of the mid 90’s, and successfully navigated the implementation of the ACA. Through the guidance of our broker we have navigated these changes in healthcare while maintaining affordable premiums, and expanding benefits for our membership to include PEHP savings for post-retirement healthcare premiums, long term and short-term disability, and supplemental life insurance for members and their dependents. The day to day operation of the trust is managed by a full time Benefit Administrator, with three elected trustees that volunteer their time to serve. 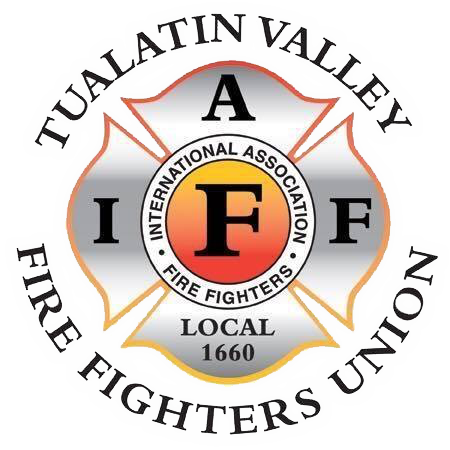 Northwest Firefighters Relief Association provides health and wellness benefits not only for the members of TVFR local 1660, but also serves Woodburn, Molalla, Clatskanie, Canby, and Newberg police and 911 dispatchers. The Trust continues to work toward maintaining an educated membership, and prides itself on providing excellent customer service to our members and their families. Having already established a solid foundation in self-insuring our dental and short-term disability plans, we continue to explore the possibility of self-insuring medical claims. Through the guidance of our broker and the Trust’s attorney our goal is to capitalize on the profits the insurance companies currently make on our group, and turn that savings into future benefit enhancements for our members that would have a positive impact on all of us well into retirement. The above information was gathered from a history of the Northwest Firefighters Relief Association document originally written by Mark Robben, and contributed to by the founding members of the Health Trust: Jim Mooney, Marc Reed, Bernie Otjen, and Mike Jamieson. Tim Nokes, Chair, Northwest Firefighters Relief Association. We're here to help! Please reach out if you have any questions.